Also by Sue, in handwriting of "Safe in their Alabaster Chambers" correspondence, when the poem was printed March 1, 1862. Sue does not say "Your Fleet" but "Our Fleet," and compares what she plainly considers to be their mutual enterprise, making Dickinson's poetry known to the public, to a Civil War general's siege and capture of Roanoke Island a few weeks earlier. 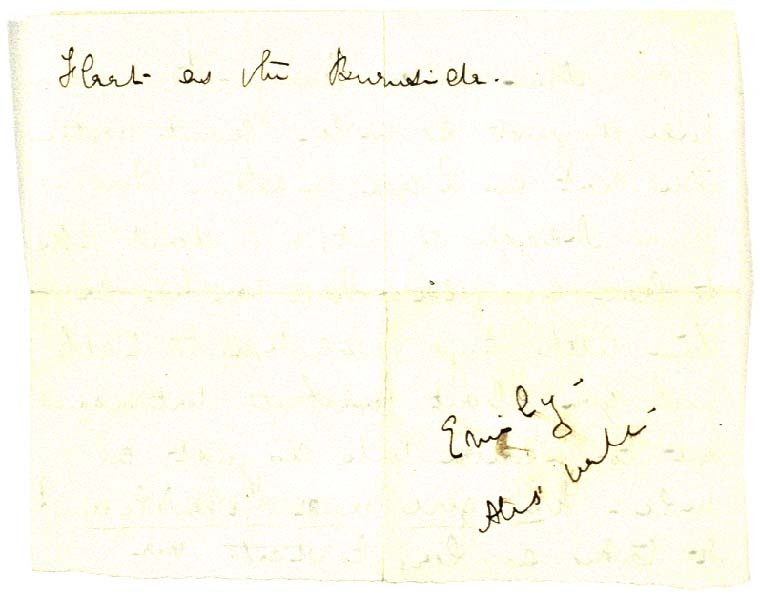 This note is discussed by Thomas H. Johnson in his interpretive biography (Emily Dickinson 117) and by Martha Nell Smith in her discussion of Dickinson's poetry workshop (Rowing in Eden 181). Houghton folder includes an envelope with note: "After appearance of Snake in Republican." 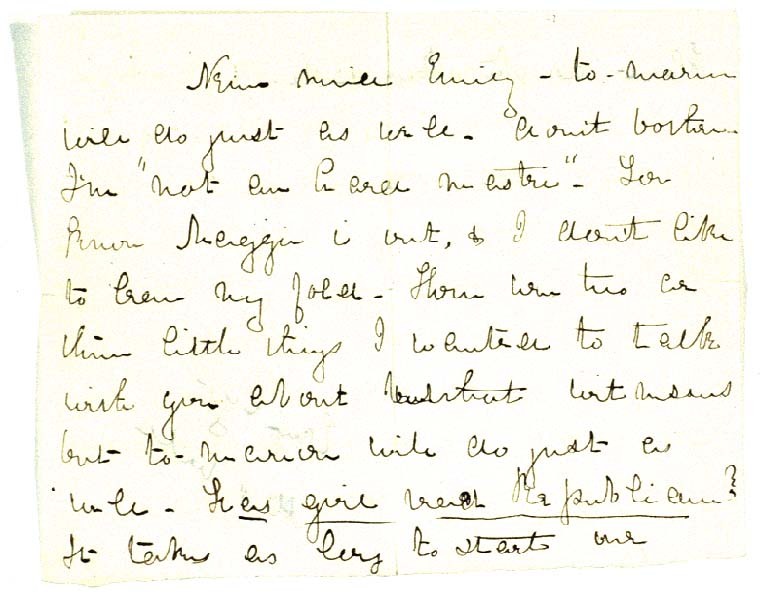 Though Martha Dickinson Bianchi attaches this note to the publication of "The Snake" or "A narrow Fellow in the Grass," we include it here because it may refer to any of several poems that were published in the Republican, including "Safe in their Alabaster Chambers."